With the passage of year’s technology is also attaining new heights, bringing before the people the most sophisticated electronic gadgets, for the better performances in respective sectors. The laptops happen to be the latest gadget in this respect. However simple it may be in appearance and also composition, you have to apply lots of measures for its maintenance, and it’s most sensitive area is the battery. There are indeed several types of laptop batteries that are essential for keeping a laptop running properly. In this regard, there are a number of ways to properly care and maintain a laptops main power source, the battery, since the batteries of laptop are constructed with a number of crucial components for regulating charge and power supply to the laptop. What and how many types of notebook batteries are available in the market? Well there are many but if you are the consumer there is a need for you to check and also to know the ideal battery for your laptop. Now, in respect of the different types of batteries that come to our concern are the Nickel Cadmium (NiCd) Batteries, which are in reality were the first rechargeable batteries manufactured for laptops. Though inexpensive, and being of high output and versatility the have been abandoned by the laptop manufacturers with the introduction of several efficient and lighter-weight batteries. The next that do come in the category are the Nickel Metal Hydride (NiMH) Batteries, which at the time of its commencement was regarded as big development concerning power output, reliability, cost, safety and capacity. It is to be noted, that it was the “memory effect” that was the only issue, which required them to be fully discharged before recharging to gain maximum output. However, with the up gradation of batteries, these older ones are found in the older model laptops. In this respect, the Lithium Ion (LiON) batteries happen to be the latest version, and ahs become the most popular for laptops. This device has been most successful since the elimination of “memory effect”, and also happens to be much lighter than the other two in weight. For this the market price is also the highest. But again, at the time of detecting the ideal one among the various types of batteries there is a need to be cautious of the battery cycle. It is known that one battery cycle is used every time when a battery is charged or discharged. Now, what is a battery cycle in reality? It technical terms, it is defined as the number of cycles a battery can perform before its nominal capacity falls below 80% of its initial rated capacity. In addition, the lifetimes 500 to 1200 cycles are typical. Besides while buying try to have a prior knowledge of the run time of the batteries, which does depends on a great number of factors. In maximum segments, it is the design of, and the power demands made by the machine that determines the actual battery run-time. For instance, the three factors of using the screen, the hard drive and other accessories do play a significant role to influence the duration of the run-time. 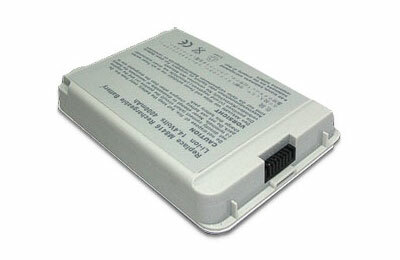 There are also other types of batteries, known as Smart and Dumb Laptop Batteries. 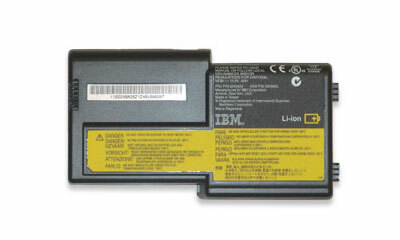 There are some laptop batteries, which are, equipped with internal microprocessor circuits and do play a considerable role in the management of battery energy, setting the charger to the correct charge algorithm, predict running time, or according to Smart Battery System (SBS) forum, provide a state-of-charge (SoC) indication. Theses are known as “Smart” batteries. On the contrary, those batteries that remain devoid of these features are known as the dumb ones, found to provide power only.